Some people know that summer’s just around the corner when they smell chlorine for the first time, taste the first watermelon of the season, or switch on the A/C for the first time since the year before. Others know summer is well-nigh when they get an invitation to their first BBQ – or, better yet, make the decision to throw their own. If the mouth-watering sizzle of steaks and burgers makes you feel like celebrating the warm weather, maybe it’s time you indulge in a little upgrade – there’s still time to send out those BBQ invitations, after all. If you’re throwing a barbecue, you need a grill that can handle the heat. You have to cook massive amounts of meat and vegetables when you throw a party. You don’t want your grill to let you down while you’re right in the thick of things. 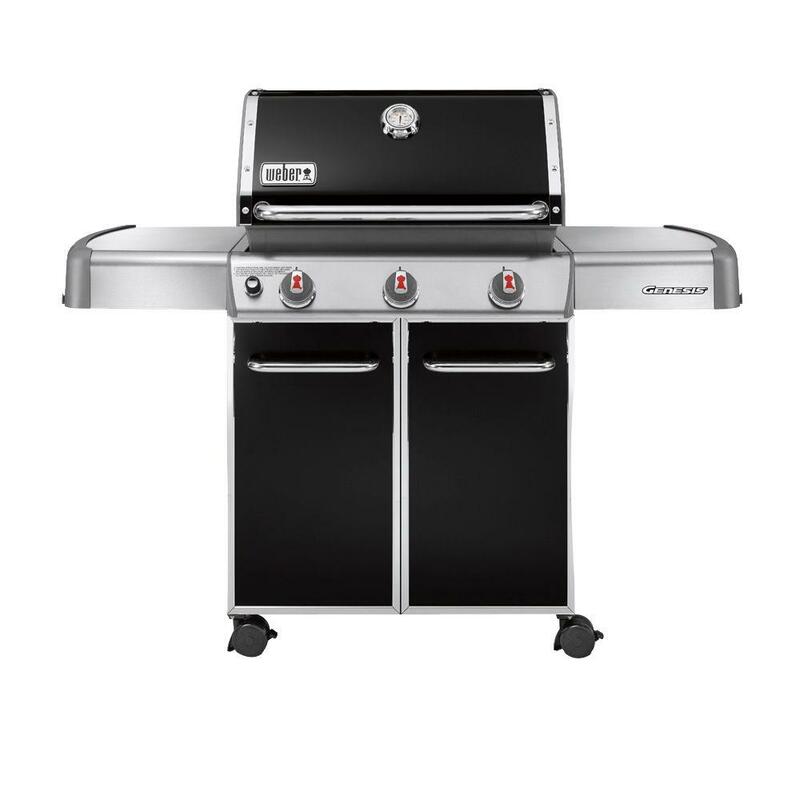 With a stellar rating of 9.8 out of 10, the Weber Genesis E-310 is everything you could want from a grill – and at around $699, it’s well within the budget of many gas grill enthusiasts. The burners are under warranty for 10 years, which is more than respectable, while defective parts have two-year coverage. 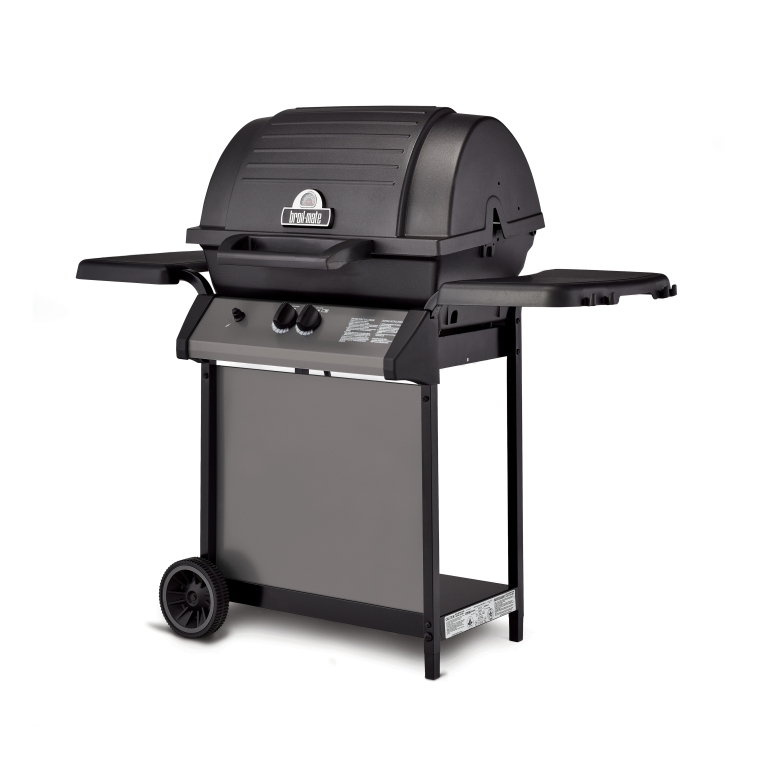 The grill is capable of 38,000 BTU per hour. 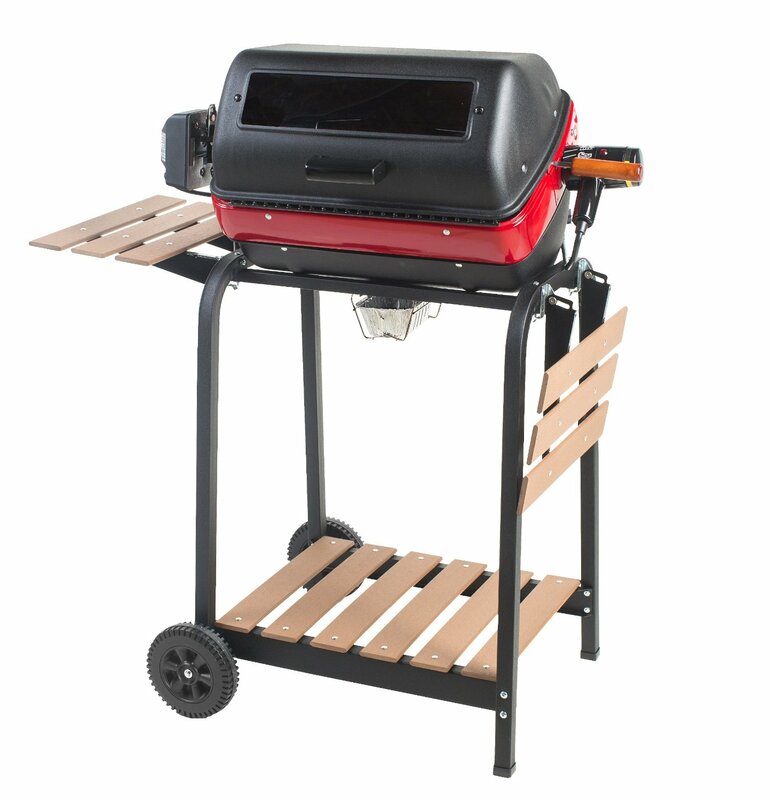 The best part is that for all that power, the grill is compact enough that it won’t take up tons of room on the patio or in the yard. Some grill-masters take after Hank Hill and won’t use anything but propane. Other grill enthusiasts are mavericks who make up their own minds. They go crazy for the flavor of charcoal-grilled food. If that’s true for you, look no further than the PK 99740 Cast Aluminum Charcoal Grill & Smoker. Although there are plenty of affordable charcoal grills on the market this year, the PK is special. At less than $400, the price tag is certainly nice, but it’s what you get for the price that really makes this a standout grill. Specifically, as the name suggests, this is a two-for-one grill: it’s a smoker as well. It may only cook up a dozen hamburgers at a time, but you can use the grill itself as a smoker to infuse your food with the rich, smoky flavor people expect when they come to a barbecue. The cooking grid features hinges, making it easy to add your charcoal, so whether you grill up some steaks or smoke some brisket, you’re good to go. Even though the cast on this grill is aluminum, it’s rust-resistant, so you can leave it outdoors without fear. That same aluminum makes for a quick, even cook – so even that you won’t have to move or even turn your food. There are also four vents, fully adjustable, so you can find the perfect temperature. Folks tend to forget that charcoal and propane aren’t the only options in grilling. Worse, there’s this idea that all electric grills are indoor grills. Not so. If you prefer electric stoves and cook tops inside, it stands to reason that you might like an electric grill better than anything else – and yes, they’re made for the outside too. 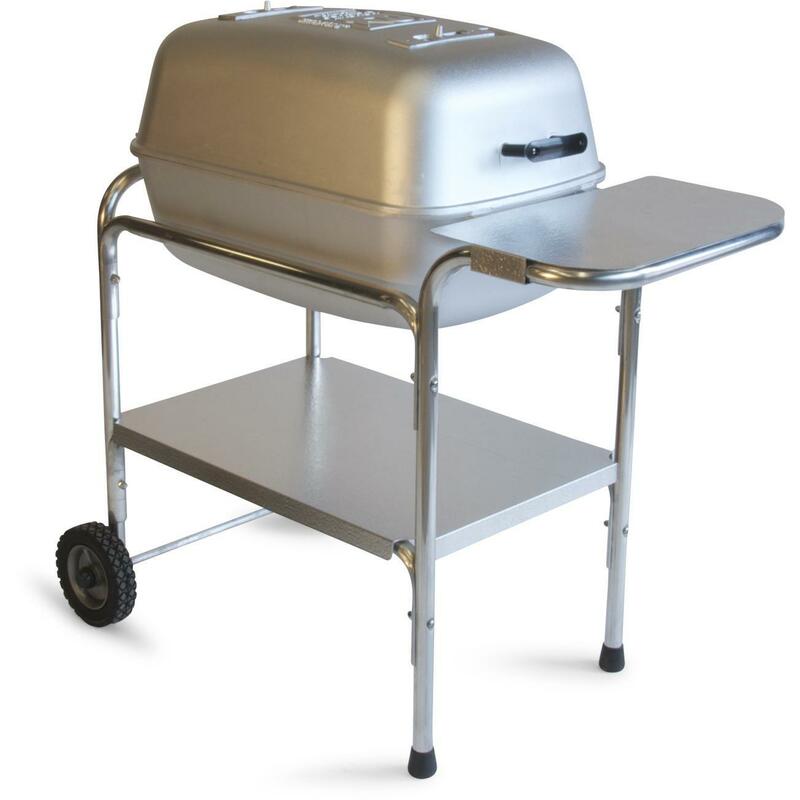 Meco actually has several different grills at various price points, and most of them are affordable. The 5-star rated 9329W is a little over $200 and gives you more power than earlier models. If you really, truly appreciate the fine art of grilling and a price tag of around $850 doesn’t put you off, then it’s time to explore the world of ceramic Kamado grills. 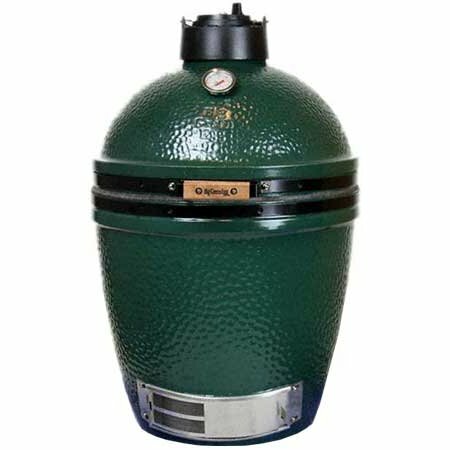 Although there’s a debate among Kamado fans about whether The Big Green Egg counts, the fact remains that it’s a 5-star favorite that upholds the reputation and skill of ancient Japanese grilling. The large Big Green Egg has 255 square inches on which to cook, and the 18-inch surface leaves plenty of room – but that’s not why this bad boy’s so popular. The truth is, many BBQ fans cook with gas – and gas grills get expensive. So if you need something large and in charge that won’t break your budget, the Broil-Mate 165154 ranks incredibly high. It’s less than $200, and it mimics the designs of grills in the 1960s in a way that works. The Broil-Mate is plain. It doesn’t look fancy, it isn’t shiny, and it’s easy to ignore. However, in addition to rust-resistant aluminum and a 5-year warranty on both the burners and any stainless steel pieces, it also features a heat indicator on the hood. It’s a convenient way to keep an eye on the temperature of your food and to know exactly when you should pull out your trusty thermometer. Besides, not having to worry about overcooked food, a rusty casing, or a flimsy, inferior grill make this a worthwhile investment. In the end, it doesn’t matter if you prefer propane, charcoal, or electric heat, nor does it matter if you prefer rib eyes and hot dogs or grilled tofu and vegetable kabobs. What matters is that you’re ready for the summer, along with all the parties, get-togethers, picnics, barbecues, and epic food that come with the warm, sunny season.